Ron Rosenstock has been creating images of the world and its people since the 1950s. 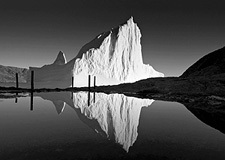 His work has had many incarnations from vivid colors to black and white, from the darkroom to digital, from large-format cameras to full-frame digital, from early dawn to infrared dusk. His images are real, though real is hardly subjective. Viewed in objective terms, color is far more real than black and white is—if only because color is such a defining element of reality as experienced by the human eye. His reality is more real than it would be if you were standing next to him the moment he makes the exposure. His view of the world developed from his correspondence with Ansel Adams, his work in study groups from 1967 to 1973 with his teacher Minor White, and his time as a private student of Paul Caponigro. 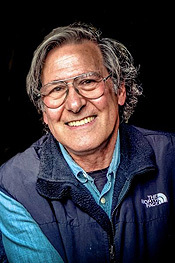 Born in 1943, he earned his MA degree in Photography from Goddard College and has been an instructor of photography since 1967, primarily at Clark University. He has exhibited his work in more than 100 shows worldwide and is featured in numerous permanent exhibitions including the Fogg Art Museum, the Worcester Art Museum, MIT, and the International Center of Photography. Ron has published six books of his photographs and written numerous articles on the art and craft of photography. We has been featured on the WGBH nightly news with Emily Rooney in Boston and numerous cable programs around New England. 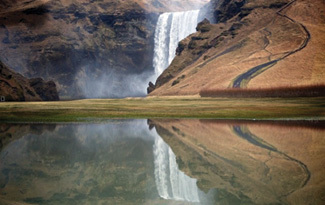 Ron still continues to exhibit his work, most recently at The National Museum of Iceland, lectures at camera clubs and professional organizations, and serves as a Board member of NANPA (The North American Nature Photography Association). He also leads tours around the world for professional and amateur photographers, including to Bhutan, Iceland, Italy, Morocco, New Zealand, Greenland and Cuba—see www.RonRosenstock.com for info. 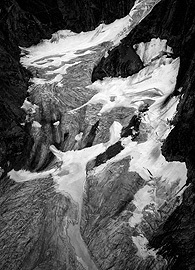 "The original subject matter for my photographs—land, sky, ice, and glaciers—serves as my initial inspiration. I then work with the image on my computer, as I once did in the darkroom, to bring out what I felt at the time of exposure. My personal goal is to be in communion with the land. For me photographing the landscape of Iceland and Greenland is like experiencing the birth of our planet where natural forces are still at work creating and shaping the land. 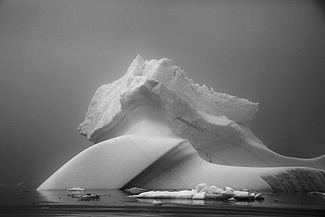 I feel that remarkable energy both in Iceland and Greenland and strive to express it through my photographs." For many years people have commented about my wonderful life, traveling all over the world making beautiful photographs. The truth is ... I am a missionary. My mission is to be one of the caretakers of our world. I will work at this mission by raising the awareness of as many people as possible. Awareness of how beautiful and important our planet is. It is a living-breathing organism. The American Indians knew that over a thousand years ago and taught it to their children. Because there are so many of us now living in this technological era of rapid change, we must not only think of earth as 'mother earth' but also as brother, sister, father, and lover earth. We won't make it without her support, and she won't make it without ours. She speaks to us in many languages. The language of wind, rain, bird song, and a silence so profound, it encourages us to reach into the transcendental to seek the source of that silence. My desire is to reach as many people as possible and convert them into also being a caretaker. On the one hand it doesn't take much convincing and yet there are many people who resist it. But watching the golden leaves fall like snow flakes, watching the waves, listening to nature, sensing nature, all of it stirs within us the call. The call to join with nature and recognize our true selves.